Current Premier Cru members: CLICK HERE to access the Premier Cru Hub. As a Producer, you know how important it is to continuously develop your relationships with theatre companies, writers, directors, and of course, other producers — whether you’re looking to discover exciting new playwrights, to build a team for your projects, to support a company and its artists, or to play a role in the commercial transfer of a brilliant new production. 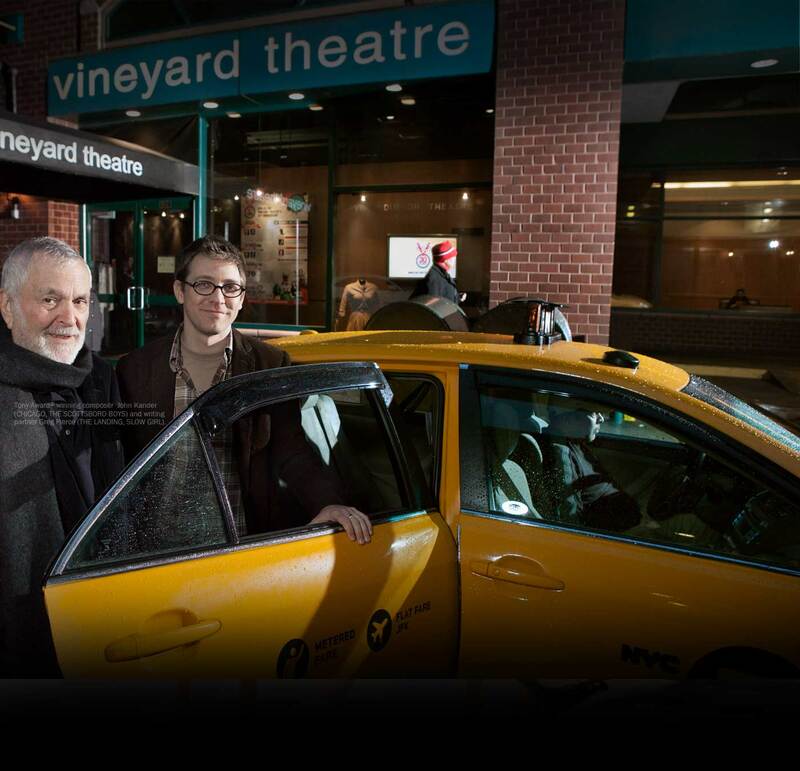 So much of what we do as producers comes from being part of a community, and one of the best things about The Vineyard is the remarkable community of artists, staff, supporters, and producing partners the theatre has built over its 35 years. We want extraordinary producers and theatre-makers to have special access to what is happening here, and to experience all The Vineyard has to offer. Introducing the PREMIER CRU – an exclusive Vineyard membership, specifically for Producers. A one-on-one script consultation with The Vineyard’s Literary Department. That’s right – every Cru member gets the opportunity to have one play read during the season, and receive thorough and thoughtful feedback. Reading the work and offering feedback does not guarantee further development here at The Vineyard specifically, of course, but we hope this opportunity will further enhance your work, and your developing relationship with our organization. Access to the Premier Cru Hub, a members-only online portal with resources created just for the Cru! The Hub includes: Cru Contact Sheet, Calendar of Events, the ability to RSVP for Events and to Submit your own to the calendar, the Resource Library, the Call Board, and more! Being a member of a theatre company is an important thing for a producer — it’s the first way in to developing your relationship with the organization, seeing where the work begins, and meeting the people who create the magic on stage — allowing us all to engage in a way that becomes mutually beneficial for artists, producers, non-profit theatre, and the industry as a whole. Exclusive invitations to the Developmental Lab, reading series, REBEL VERSES Youth Arts Festival, and more! *Guests tickets subject to a $5 handling fee. If you think the Premier Cru sounds right for you, contact me at asbennet@vineyardtheatre.org, or by phone at 646-931-4718, to inquire about joining. We are thrilled to extend this invitation to you, and hope you will join us as a member of this exciting program with this unique group of ambitious producers. We look forward to seeing you among so many other smart, creative producers in the same room; together, we will continue to pave the way for new work, bold programming, and the support of artists.